Ireland's Call was composed in 1995 by Irish songwriter, musician and record producer - Phil Coulter. 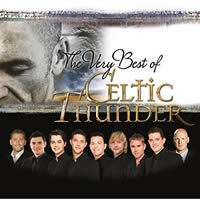 This version by Celtic Thunder is featured on their album, The Very Best of Celtic Thunder . The key change only comes into play if you are playing with the video... otherwise just play the last chorus the same as the others. If you do play the key change you will need to play some barre chords which are all fairy easy. The E♭, B♭, and A♭are probably best played in the 2nd position around frets 4-8 highlighted in grey. This way movement from 1 barre chord to the next is within close reach. You will find 2 options for Cm - the first is a little closer to Eb & Bb, but you may prefer the alternative option. Tempo: 92 bpm (♩.) means the metronome sounds on every dotted quarter-note which is equal to 3 eighth-notes i.e., beats 1, 4, 7, 10 of the 12 eighth-notes, otherwise the metronome would be flying out the door! 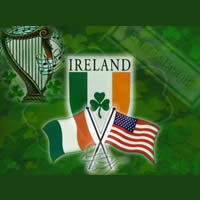 "Ireland's Call" chords and lyrics are provided for educational purposes and personal use only.